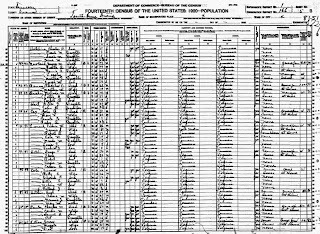 Martha Melinda appears in the 1920 Sullivan Co., TN census with 3 of her children, Lottie Beatrice, Robert Corbett, and Ella. Ella was widowed, and had a son named John. Another daughter, Mary Virginia is listed below the Brickeys, with her husband John Reuben Cox.